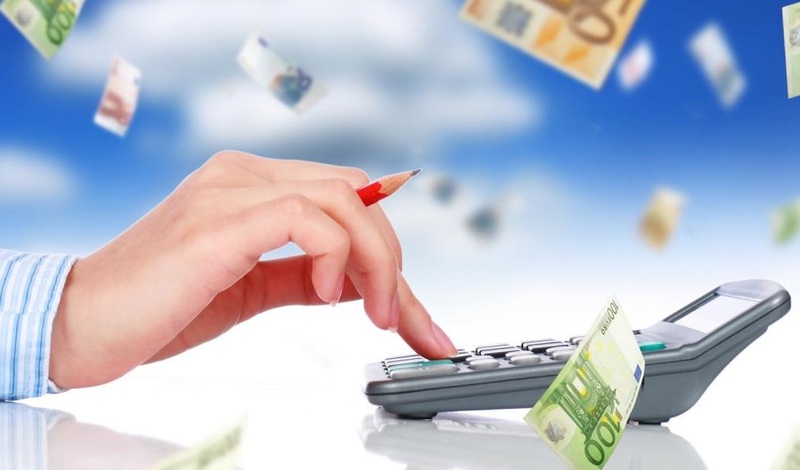 Organizing the finances of a small business is one way to ensure its success. However, it is one of the tasks that most owners don’t want to do. Here are the essential financial tools for small business owners. One of the must-have tools for small business owners is accounting software. There are several applications on the market today but finding the right one can be hard. Make sure that you choose the app that has all the features you need and provides flexibility. The app must be able to do basic accounting tasks including expense tracking, invoicing, automation of recurring payments and billing, vendor/client contact management, estimate and quote creation, multiple-user access, and tax preparation, just to name the most important ones. With the right accounting software, your back office will be more organized. It is easier to browse through receipts, reports, and papers when preparing tax returns—it feels like having an in-house bookkeeper. Most accounting apps come with a mobile version that allows the user to do expenses, track cash flow, and invoicing while on the road. The top accounting software on the market today include Freshbooks, FreeAgent, Zoho Books, QuickBooks Online, and Xero. Small businesses have many banking needs, from opening lines of credit to checking accounts. Finding the right bank to partner with is important to achieve long-term financial success. The good news is there are online tools, such as the one from Bankrate, to help owners compare bank rates. Keep in mind that bank loans and other online loan services similar to realistic loans constantly evolve. After creating a short list with the use of the online tool, you should contact the bank to double check their rates. Contacting the bank also allows you to ask questions about their financial solutions. Reputable websites offering bank rate comparison tool are NerdWallet and Bankrate. Before launching a startup, it is important to create a plan that contains all your ideas. It should also include how the organization will deal with expansion and growth in the future. The business plan software from the SBA provides steps on how to create your own business strategy. The top business plan applications on the market today are LivePlan, BizPlanBuilder, GoSmallBiz, Business Plan Pro, and OnePlace. To ensure the success of any venture, one must have a realistic budget. The owner should also stick to it. There are accounting apps that allow users to create budgets without a separate software. If the accounting software doesn’t have one, then you need a stand-alone tool for budgeting. Some of the top five budgeting apps today include FreshBooks, Sage 50cloud, FreeAgent, Xero, and QuickBooks. One way to improve the sales of the company is to add payment options. If the company doesn’t accept credit cards, then it is losing many potential paying customers. You should look for a business accounting suite that features the ability to process credit cards. With credit card processing, the company can accept payment for products and services through a credit card. Whether it is a terminal, online payment, point-of-sale, or a credit card reader, it is important to find the right solution for accepting plastic as payment for the business. You can incorporate the card reader into the Customer Relationship Management system (CRM). Some card readers attach to tablets and smartphones and provide next-day payment. Other payment options include month-by-month, pay-per-swipe, and pay-as-you-go. When choosing a credit card processing company, look for one that’s transparent. It is also important to find a reputable company, one that has been in the business for a long time. Monitoring the financial condition of the business is important to your achieving success. Some of the reports that should be monitored include cash flow statement, balance sheet, and profit and loss statement. A financial analysis tool allows the owner to monitor all the pertinent reports in a single dashboard. The tool shows where the business stands and the steps needed to maintain its profitability. By having a single financial dashboard, the owner will easily know the financial health of the business. The app tracks the key performance indicators (KPI) to determine whether the company is doing well and not just getting by. By monitoring the KPI on one dashboard, the owner can determine if the finances are on a good path or not and can take the appropriate steps to get back on the right track. Some apps with a financial dashboard include InDinero and LivePlan. Another critical financial tool for small businesses is a payroll management system. The task of payroll is time-consuming without the proper tool. It also prevents human errors and streamlines the process. The payroll management system gets rid of costly inefficiencies in the process. Some accounting suites can handle payrolls. Fortunately, it is easy to integrate a payroll system into your existing accounting software if it doesn’t have one. Look for a payroll management system that automatically pays the appropriate local, state, and federal taxes. If it’s not user-friendly, avoid it. The government is strict regarding the expenses companies report in their tax returns. Instead of keeping receipts in a drawer, you should use apps to scan and take photos of the receipts with a tablet or smartphone. The app organizes the info from the receipts and generates a report with itemized payee, category, amount, and date columns. The user can also import expense reports from credit card and bank accounts. The exported reports can be easily merged with paper receipts for tax purposes. Small businesses require a reliable inventory management system, whether they are in the retail, wholesale, or service industry. Organizations and companies need to track products, parts, and supplies in an efficient manner. Cloud-based solutions are the way to go in order to track your inventory efficiently, as well as properly. It is important to do research before committing to an inventory management system, though. Aside from monitoring inventory, the system can also provide low-inventory alerts, manage order shipping and packing, and generate sales reports. The smoother and more flexible the billing process, the faster payments are made and processed, which has a positive effect on the cash flow of the company. The system improves customer experience and reduces the delays on accounts receivables. Doing billing tasks manually requires a lot of time. With a dependable billing system, there will be fewer late or missed payments. There’s no reason why owners should stick to paper invoicing with all the benefits an invoicing system can bring! Keeping finances of the business organized will make it easier to prepare tax returns. Small businesses need to file their return once per year, but owners can pay estimated taxes each quarter, which might be advantageous at times. Some accounting apps allow small business owners to file tax returns without any help from an expert, although experts themselves recommend consulting an accountant for complicated returns. Some apps also suggest deductions advantageous for the organization. When looking for software, make sure you see that it has a checklist for tax preparation. The list will come in handy when preparing forms required for the returns. A business credit card provides access to special benefits that include spending controls and employee cards. The issuer also offers services customized for the needs of small businesses. A credit card helps the business avoid taking on loans and other forms of debts. A business debit card allows the user to make purchases at different locations across the globe. Funds are withdrawn from the checking account, with all the transactions listed in the account statement. We have presented you with twelve important financial tools for small businesses. Having the right tools will help the business achieve success in the long run.